Monterosso al Mare, Vernazza, Corniglia, Manarola, Riomaggiore: the Cinque Terre, UNESCO World Heritage Site. 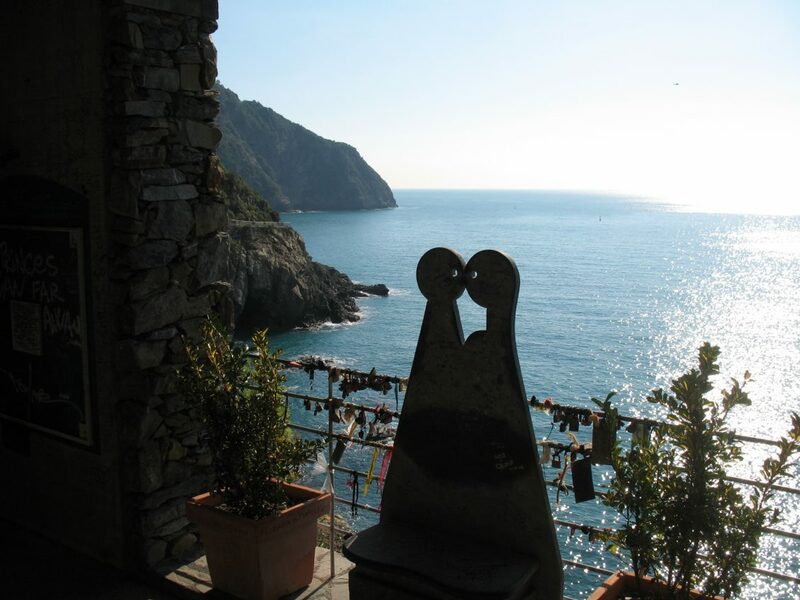 If it is romance you are looking for then head for the Via dell’Amore, a seaside coastal path from which you can take in the most breathtaking views. It forms part of the longer Sentiero Azzurro (Blue Path), that runs along the length of the Cinque Terre from Monterosso to Riomaggiore. Like Portofino, this part of Liguria includes the Cinque Terre National Park which is the smallest park in Italy and the Protected Coastal Area that includes the Sea Mammal (Cetacei) Sanctuary. There are sporting activities available in the Cinque Terre to cater for all tastes: underwater diving, seawatching, sailing as well as trekking and horseriding – and paragliding during the winter months. The Park has a network of footpaths extending over 120 kms. There are themed walks, sciacchetrails and trekking as well as swimming itineraries organised by the Coastal Authority, underwater itineraries as well as kayaking. For further information, consult the Cinque Terre National Park website. Monterosso al Mare is the largest village of the Cinque Terre. In the church of San Francesco you can admire important works of art by Van Dyck and Guido Reni; the Villa Montale, where one of the most important writers of Italian literature of the 20th century as well as Nobel prize winner lived for a long time. Vernazza has the remains of medieval fortifications – the castrum – with a castle and round tower. It has lots of “arpaie”, steep steps that can be found throughout the village. Corniglia is the only one of the Cinque Terre villages that is not perched above the sea but is situated instead on a promontory and for this reason you will notice that the architecture is different from other typical Ligurian villages. Manarola forms part of Riomaggiore and has many houses with towers built in typical Genoese style. And finally Riomaggiore with its Castle that dominates the old centre of the village.